OMNIA Partners is the largest and most trusted purchasing organization for public sector procurement. We have brought together the nation’s two leading cooperative purchasing organizations – National IPA and U.S. Communities – under one roof to form OMNIA Partners, Public Sector. The collective buying power of these unified cooperatives delivers superior value and savings for public agencies nationwide. 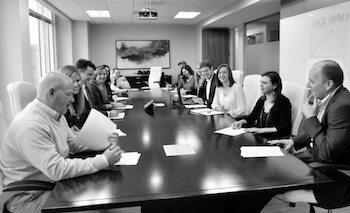 Our team of certified public procurement professionals and cooperative purchasing experts is committed to bringing value to you and your agency. We act as your advocates to enhance your procurement strategy and drive efficiency, effectiveness and real savings within your agency or organization. We have walked in your shoes. Our team of tenured professionals has held key public procurement positions in state government, local government and education—and are recognized as respected leaders in our discipline by both our peers and supplier partners. OMNIA Partners has the most robust portfolio of quality contracts in the cooperative space. Our agreement portfolio has everything your organization needs to run efficiently and effectively. OMNIA Partners has the most experienced cooperative team in public procurement, cooperative purchasing and contract management. With over 170 combined years of public procurement experience and over 300 years of cooperative purchasing experience, you can trust that you are in good hands with our team. OMNIA Partners is also a founding member of the National Coalition for Public Procurement. Our contracts are competitively solicited and publicly awarded by a government entity acting as the lead agency. Awards are made utilizing this best practice ensuring maximum value and absolute security with complete transparency of the process. OMNIA Partners saves you time and money. Participating in the cooperative buying power of more than 60,000 entities helps you do more with less by reducing product and administrative costs. We are the largest and fastest growing organization in public procurement, creating maximum purchasing power and resources for our participants. 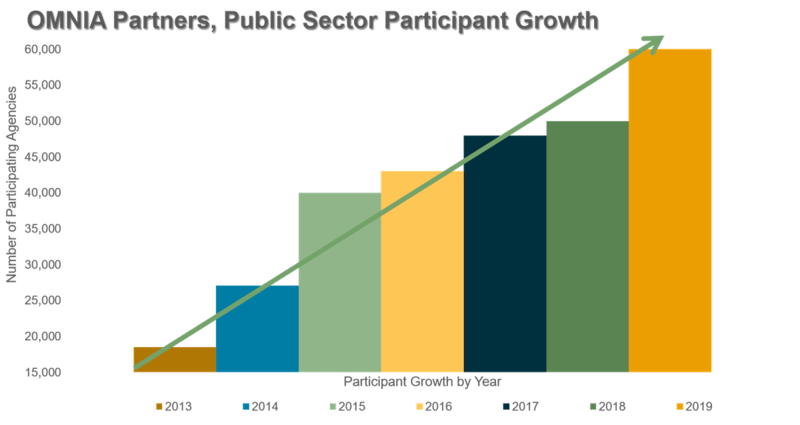 OMNIA Partners, Public Sector participation has almost tripled over the past six years. We continue to put the people, processes, and solutions in place to support the needs of public agencies and education institutions nationwide. The OMNIA Partners, Public Sector team can assist you with your cooperative purchasing strategy.